Families looking for a greener or a 'different' travel experience should consider taking a ferry, the Association of British Travel Agents (ABTA) has said. With half term break already upon UK families, ABTA suggests that ferries offer a more convenient mode for families needing a car as part of their travel. 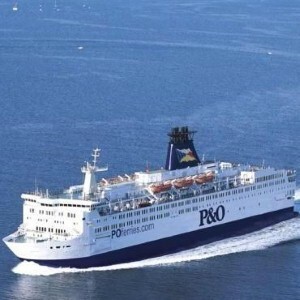 In 2007, the Shipping Times reported that more than 235,000 passengers passed through the Port of Dover over the four days of the Easter holiday weekend. Frances Tuke, spokesperson for ABTA, said that young families are more conscious of how their travel habits impact on the environment. "I think recently that's [green travel] become an issue, yes. In the past, no, I wouldn't have thought so but now, I think people are thinking very differently about how they travel and so green issues do come to the forefront," she commented. Research by the Green Travel Index commissioned by travelsupermarket.com revealed that the 25-34 age group are the most environmentally aware while the over 55s were less aware of their carbon footprint.